Tracker Outsources Microsoft and Oracle Database Management and Consulting to Specialist Database Infrastructure Company Ascent Technology. Tracker South Africa was established in 1996 and is a technology focused company which is the market leader for vehicle tracking in South Africa. The organisation has been a long term partner of Lojack, the company that invented mainstream vehicle tracking in the US, and its merger with MobileData in 2007 further enabled it to develop into the sophisticated, technology-driven company that it is today. Tracker’s stolen vehicle recovery technology is currently used in some 30 countries worldwide, while in South Africa alone this technology is installed in over 950 000 vehicles throughout the country. The organisation currently processes in the region of 35 million positions per day with that number increasing by almost 500 000 monthly. This clearly demonstrates just how critical Data Integrity and Availability is to its business. 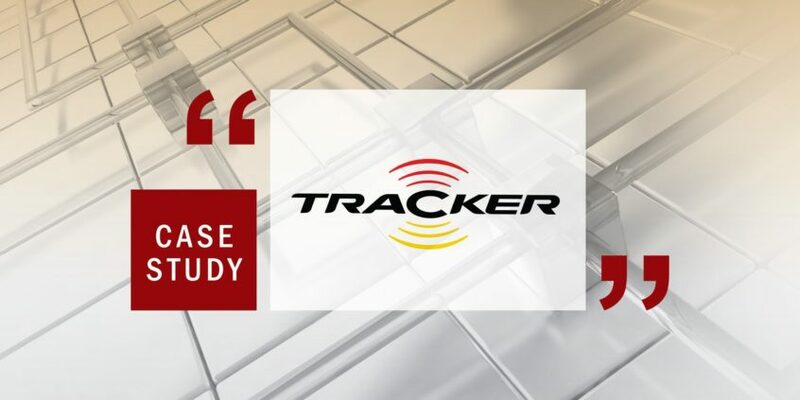 According to Clement Olivier, Technical Director at Tracker, the Integrity and Availability of the data is, in fact, the most important deliverable to Tracker’s clients. “Everything we do occurs in real time, meaning we simply cannot countenance any form of delay. For example, just a one minute delay in data delivery during peak times could impact up to 70 000 positions, indicating just how vital it is for Tracker to ensure maximum uptime and performance of its database environment,” says Olivier. It is for this reason that the company insists that its ICT partners have the skills, technical knowledge and ability to deliver the high quality services the company requires. This, he says, is also the reason why Tracker considers Ascent Technology to be a key service provider. Olivier believes that the value proposition of data is growing all the time. In fact, he suggests, that data itself is fast becoming a most strategic asset and that the real value proposition lies not just in vehicle tracking, but in the bigger picture that data offers Tracker in terms of more clearly understanding each individual client’s ecosystem. Peter Fuller, Technology, IT Operations Manager at Tracker explains that the company has a long standing relationship with Ascent. “Our relationship began around 2011, when Ascent assisted us in optimising our Microsoft Database Environment. As already mentioned, the nature of our business is such that a strong and optimally performing database environment is crucial due to Tracker’s aggressive growth. Having assisted us with this, it was a logical next step for Ascent to become our Database Management Outsource provider,” he says. Fuller adds that Ascent also assisted the company with its Database Security and Compliance requirements. This led to the implementation of the McAfee Database Activity and Monitoring tool, which gave Tracker immediate access to and full visibility and control of its database environment. Johan Lamberts, MD of Ascent Technology, confirms that as a heterogeneous Enterprise Database Management service provider, the company is able to fully understand the unique challenges presented by such an environment, and provide an end-to-end solution. “We are able to bring innovative thinking, strong technical knowledge and expertise to the table in this regard and are well-positioned to assist Tracker not only now, but well into the data-intensive future they foresee. We look forward to a long and fruitful relationship with them,” he says. Olivier points out that Tracker is currently looking at how best it can leverage the exciting new developments within the Microsoft ecosystem. “The next step into the future will entail a Microsoft SQL Server Environment upgrade, Ascent will be assisting Tracker to implement and utilise the new technology feature sets in the latest version of SQL Server,” he says. “We are well aware that simply purchasing technology is not an answer. The future growth of our business will need the support of specialist partners like Ascent. Our relationship with them is therefore very important and we value the relationship that has been built over the past years. There is no doubt that Ascent adds enormous value to our business as a whole,” concludes Olivier.